Karasuma Eiji is a high school student who finds life boring, and complains about everyday life. One day a rumour spreads throughout the school about a "bird man". The existence of this will ultimately change Karasuma's day-to-day life. 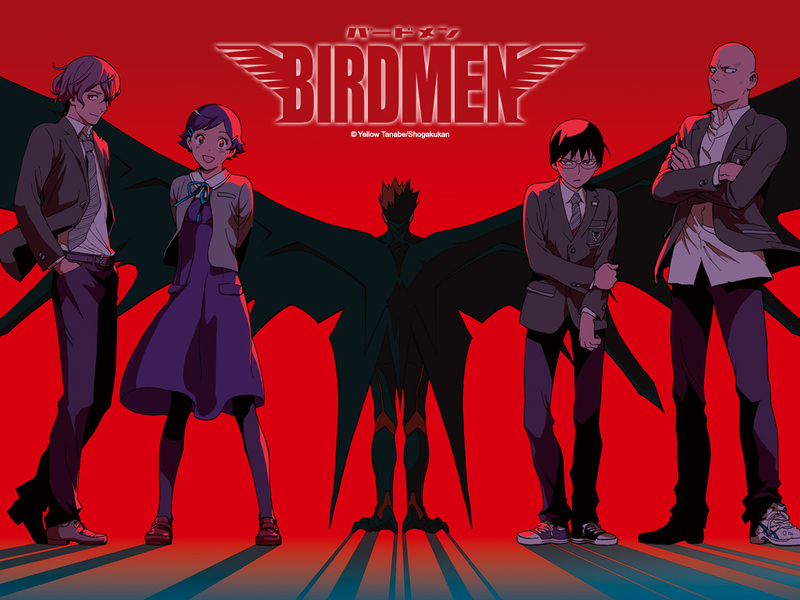 The first two chapters of Birdmen were included in volume 33 of Weekly Shonen Sunday. Yellow Tanabe is the creator of this series. She is more well known for her previous work Kekkaishi, which also ran in Sunday between 2003 to 2011. The two chapters are set at a good pace, and the plot seems very interesting.Who or what is the bird man? And looking at the title we can expect to see more of them. Is Karasuma one of them?